An elegant wedding in a country setting with too many sweet details to mention. 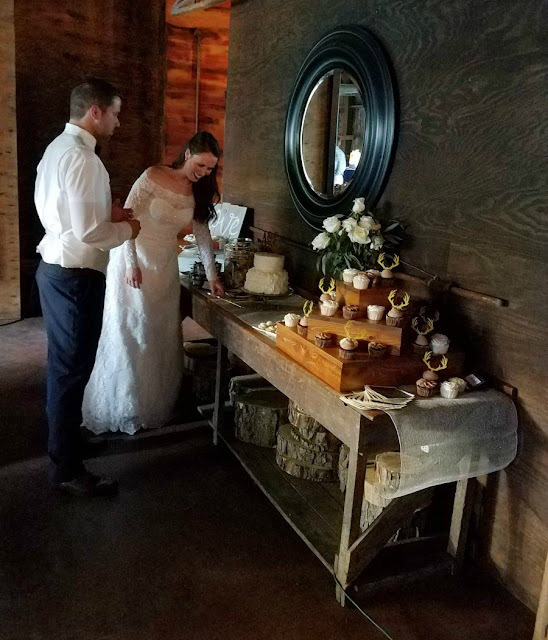 Take a peek inside my brother's wedding to his beautiful bride. For those of you who don't know, I am the oldest of six children. So by the time my baby brother came around, I was in junior high. I remember him coming home, being a baby and growing up. I did a lot of babysitting for him and my sister who is a bit younger than him even. So while I've obviously been there for all of my siblings growing up, I feel like the age difference between myself and the two youngest gave me a different perspective than say my brother who is only two years younger than me. I am going to go ahead and blame that perspective on being so proud of my brother and his new bride. So I can't help but to share some of the wedding with you. The day was a perfect mix of them and their styles. 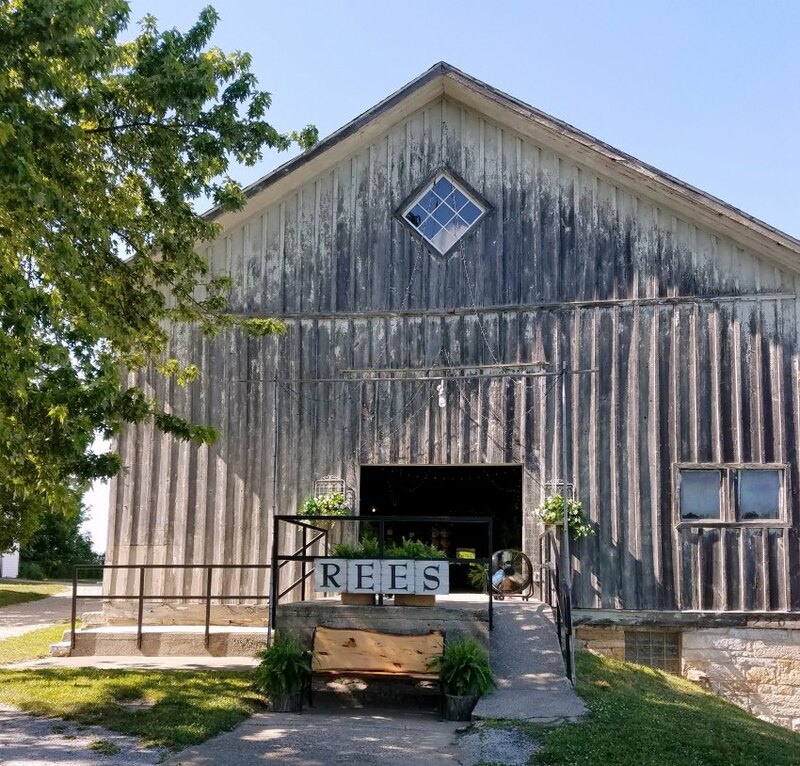 They found a cool old barn as a venue and married the rustic country with elegance and it really turned out beautiful. 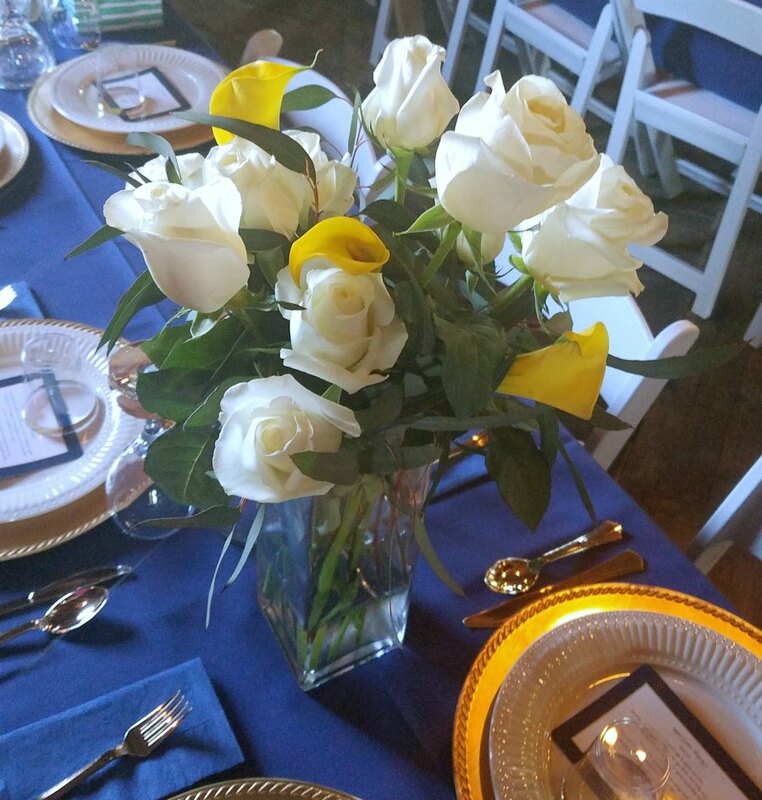 We were honored to be involved in the wedding. I got to make the desserts. I started menu planning and recipe testing immediately after they asked me. You all know I love that kind of stuff, so it was fun to start rounding up ideas. After a few cake trials, including a tester with a couple of different frosting and filling ideas for them to try, I finally decided on a rough plan for their cake. 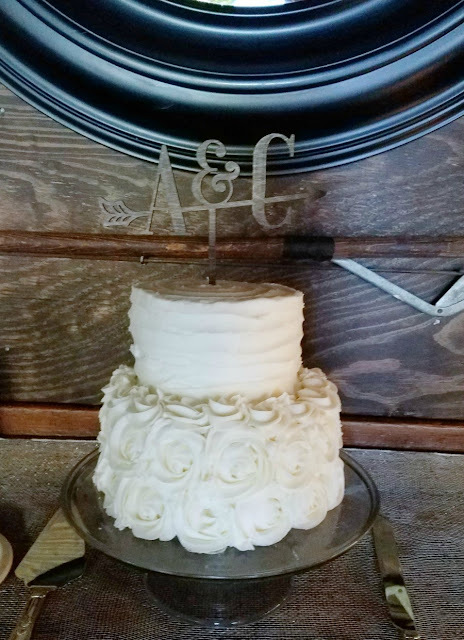 Luckily for me they only wanted a small cake for cutting. I would have been (even more of a) nervous wreck had they wanted lots of tiers! So a two tiered white cake filled with homemade lemon curd and raspberry filling was in order. It was frosted with a bit of a hybrid frosting. I wanted it to be as delicious and buttery as possible, but broke out as many tricks as I could to help it stand up to what was forecast to be a hot day. My youngest sister was gracious enough to come help me put together the lemon blueberry cheesecake jars while I went to work frosting cupcakes. 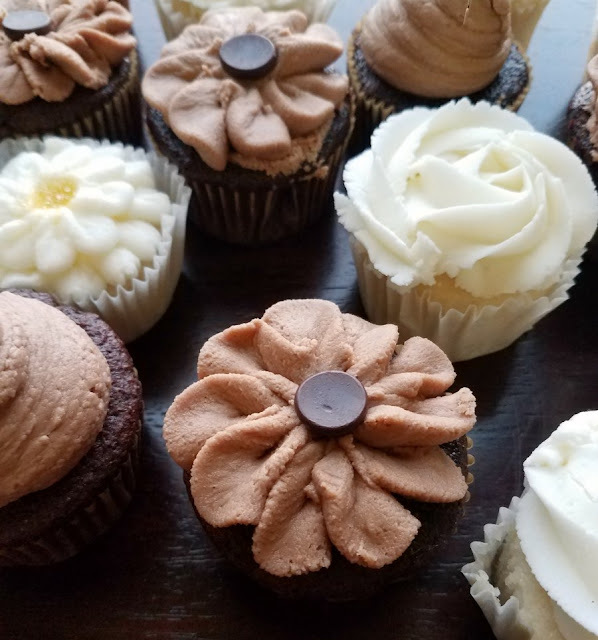 We did half white and half chocolate cupcakes with four frosting designs. Their colors with navy and gold, so I ordered some gold glitter antler toppers for some of the chocolate cupcakes and a nod towards a grooms cake. The rest of them were more floral in nature. 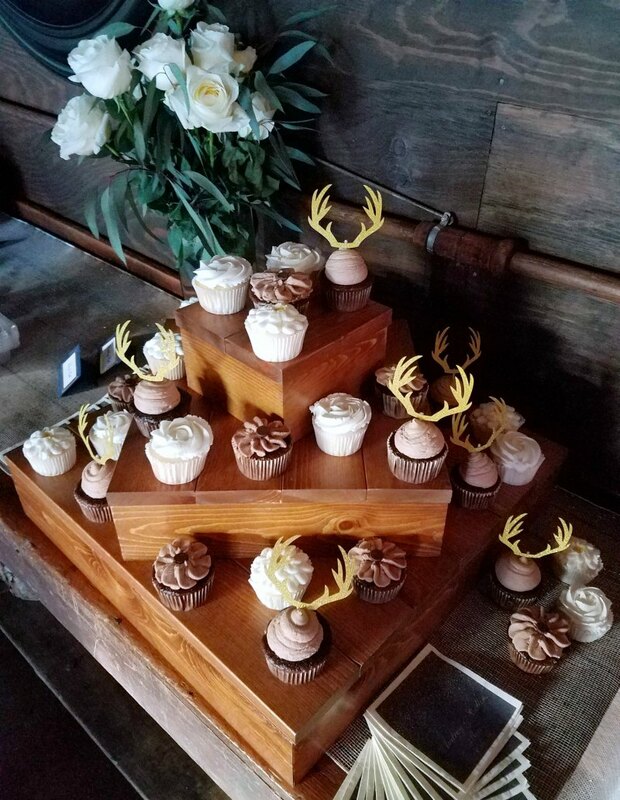 My loving husband built the cupcake stand and I think it turned out beautifully. My new sister loves cookies. So she wanted cookies as part of the dessert bar. Chocolate chip cookies are one of those classics that most people love and the groom especially loved the welcome home chocolate chip cookies the first time he had them, so I made a huge batch of those. Whenever there is a batch of monster cookies around, we have impulse control issues and can't stay out of them. 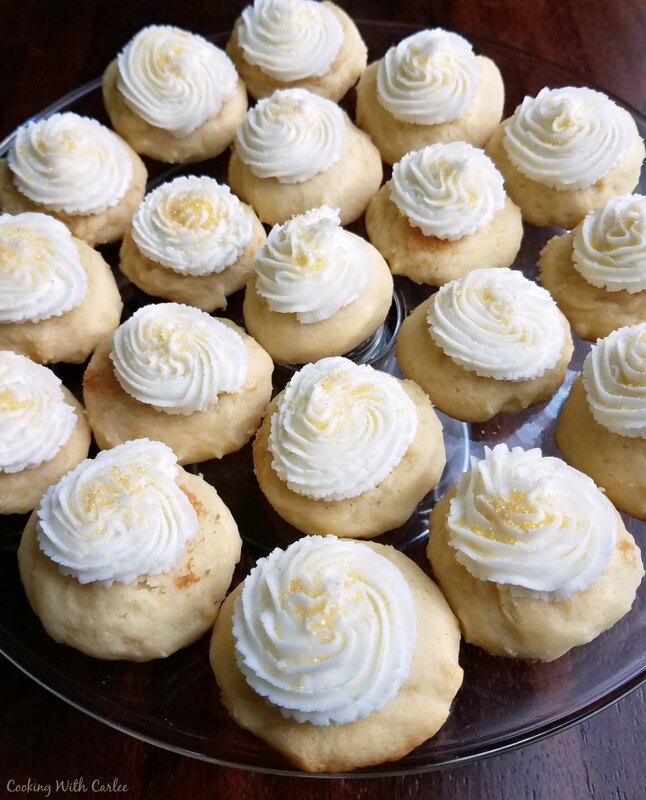 MiMi used to always have some dough in the freezer when the littler ones were in school and she'd bake up a few each day for them when they got home. So for a little nostalgia I made some of those as well. I went ahead and made the full batch (2x the amount in the recipe I shared here on the blog) and ended up having to have two 6 quart mixing bowls going to get it done. That is A LOT of cookies! The final cookie selection was some of Marlene's sour cream cookies. They are soft and simple. I thought they would be a good compliment to the other more mix-in heavy cookies. My aunt always served them with cream cheese frosting when we were kids. I was too nervous to do cream cheese frosting in the heat, so I went with a buttercream instead. They were a pretty compliment to the dessert table as well. Of course it wasn't ALL about the desserts. My middle brother is the master of the grill and smoker. If you don't believe me, he won both the grilled poultry competition and the chili cook-off (with a chili full of his smoked meats!) So he smoked and pulled 8 pork butts. Little Dude had his own special role to fill. He got to be the ring bearer and he was very proud of his job. He was counting down the days until the wedding. He woke up telling me it was his lucky day. There were only three lucky people, himself and the bride and groom. The rest of us weren't as lucky because we only got to be there. He was also lucky to get to see the bride before everyone else. He got to help her put the rings on the pillow. It was a perfect chance to make him feel extra special and calm his nerves a bit about his debut. I got to join them and couldn't help to snap a few quick pictures. These two are definitely fond of one another. When MiMi asked him how she looked, he said "she looks like a princess." After the private outdoor ceremony, we got ready to party. The bride's mother did not miss a detail. The tables were all set with chargers and plates. 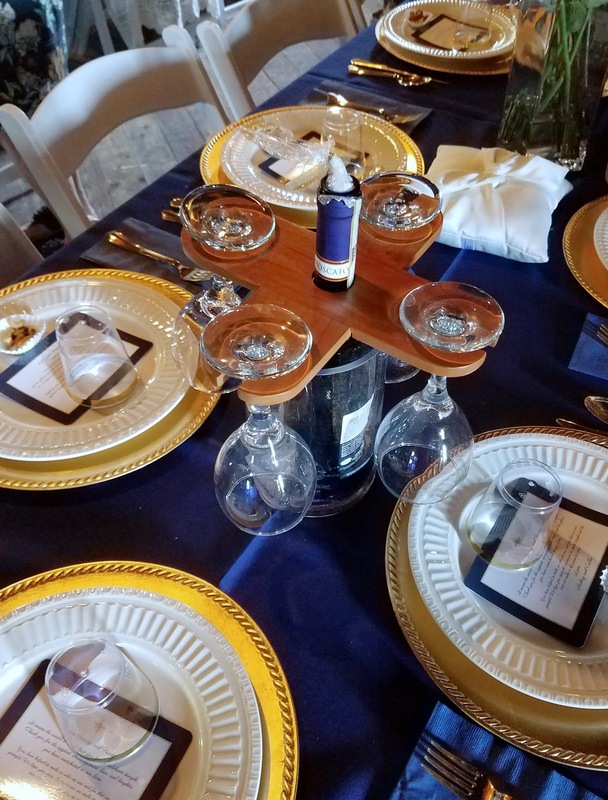 The bride's father and my uncle, who happen to be longtime best friends, made the wine glass holders. The wine bottles were all corked for easy pouring, but plugged to keep any unwanted visitors out. The flowers they chose were beautiful. 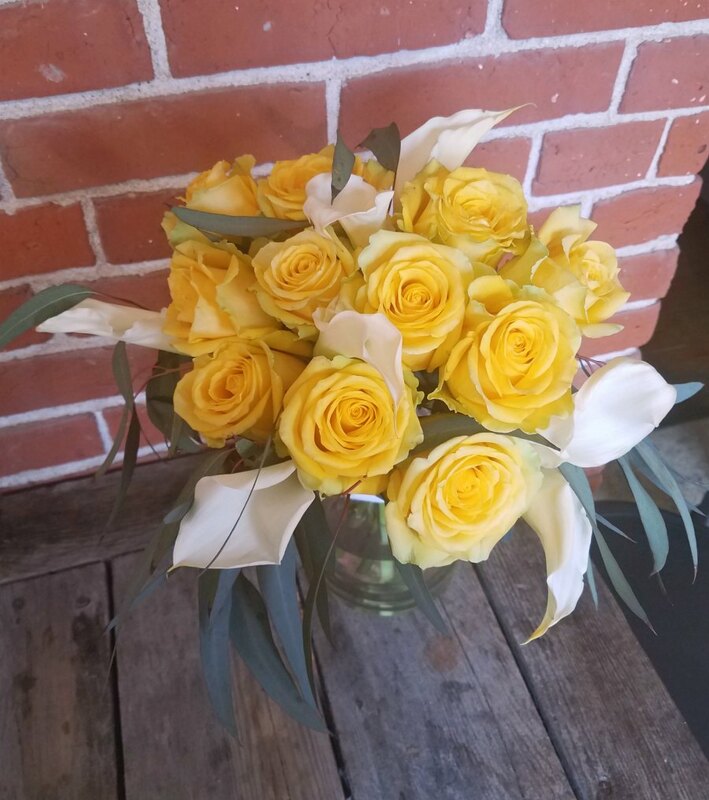 There were so many fresh roses, calla lillies and eucayptus. They were all so pretty and there were so many of them! 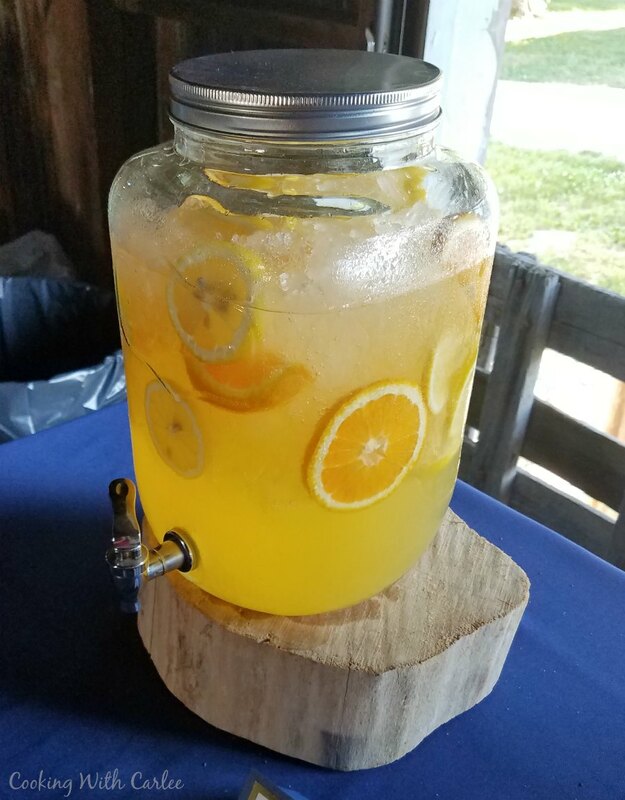 Even the drinks were fun. 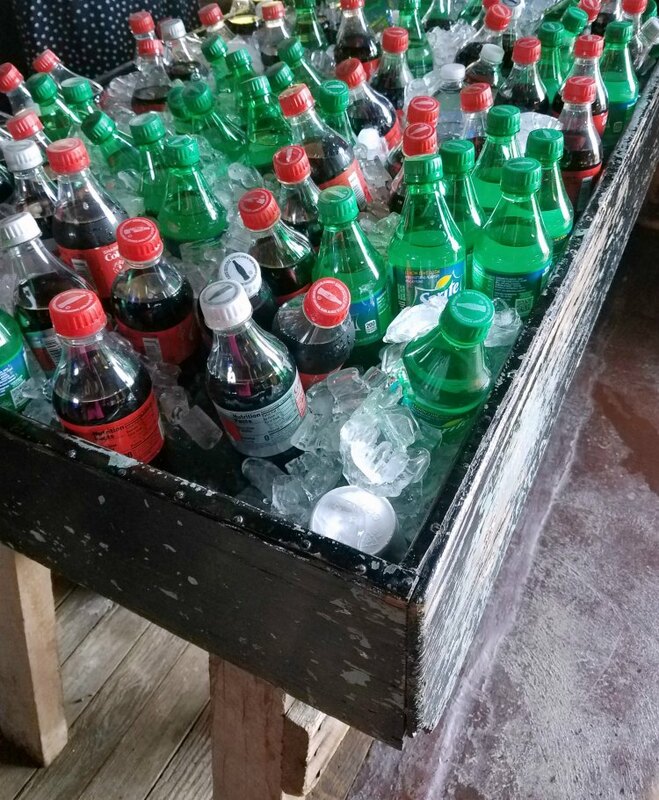 The barn used to be on an apple orchard, so the filled an old washing table with bottles of water and soda and filled it with ice. The lemonade was homemade and fresh squeezed. Little Dude definitely drank his fair share. It was so refreshing since it was an unseasonably hot day. I am sure I could go on and on about the wedding, but I'll spare you. It was a beautiful day for a beautiful couple and we couldn't have been happier to be a part of it. I truly enjoyed seeing the day through your eyes. I love that Jaxon was counting down the days and that we got to be there 🤣 He is so cute! What a happy day! He was so excited and still is! It was so much fun! What a beautiful day! Your desserts look amazing. 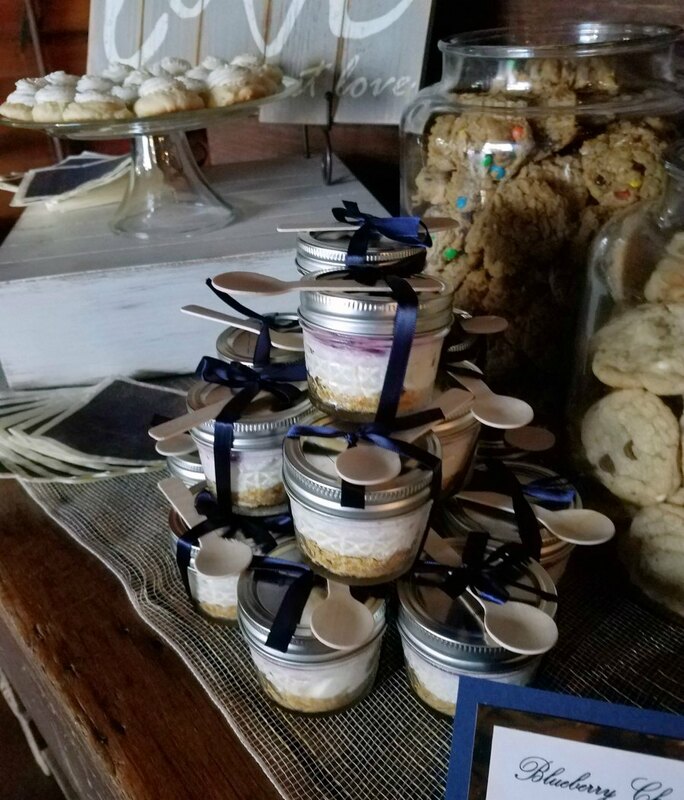 Looks like a beautiful wedding and your dessert spread looked amazing! Carlee, It sounds like you had a marvelous day. Everything looks so nice. Your little dude is so handsome. This sounds like a nice family day that is so much fun and leaves so many good memories! My kind of day. I'm glad that it turned out so nice. Thank you so much! 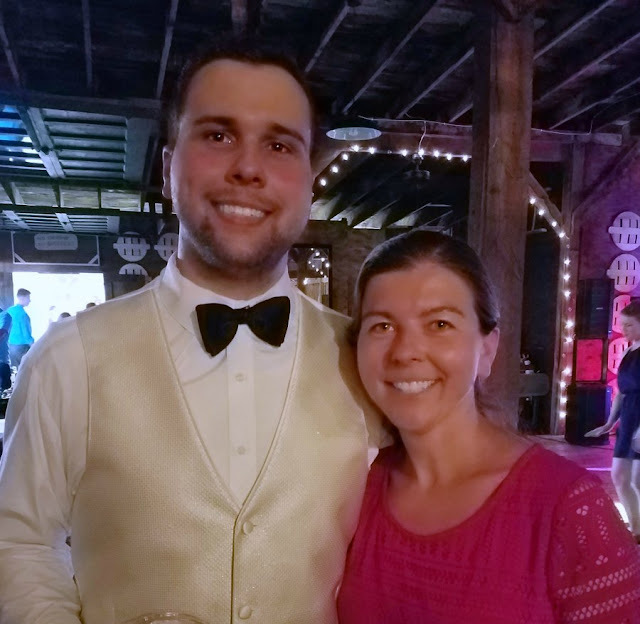 They had such a nice wedding and Little Dude had a blast! 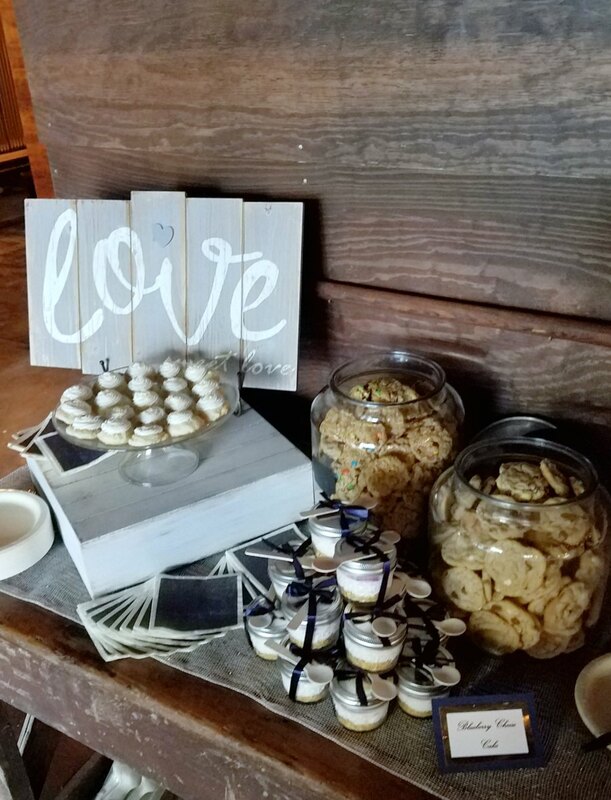 How lucky the bride and groom are to have such wonderful and beautiful (and delicious) desserts made with such love. Congratulations to them! Congratulations to everyone! it looks like it was a beautiful day. Great job on all the cakes, cookies, cupcakes and more. I love the mix of elegant and rustic. Thanks for sharing at Merry Monday. Hope to see you at the party next week. What a beautiful day! Best wishes to the newlyweds! Hi Carlee, congratulatiosn to your brother and his new bride. I love the sound of the venue, I like rough and rustic. You did a grand job with all the sweet stuff. The antler decorations did make me smile. And the cupcake stand suits the occasion. Thank you so much! They are a sweet couple so it was fun to enjoy their big day with them! Thank you! Aren't weddings a great excuse to get the gang together? Congrats to your son as well! I LOVE weddings! I still think back to mine 14 years ago. Everything about your brother's wedding looks so perfect from the beautiful desserts that you made to the flowers and the decorations. What a special day! Thank you for sharing with us at Whimsical Wednesdays Link Party! Congratulations on the feature on This is How We Roll. Much deserved. What a lovely day you had. It is always nice when something that has so much planning turns out so well. Thank you so much! They really had a beautiful day!